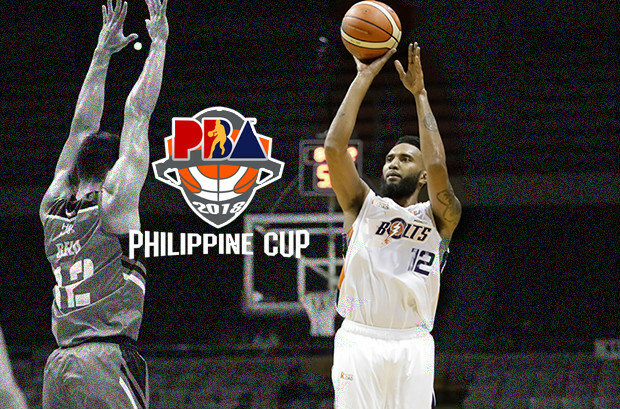 The Meralco Bolts survived the late comeback of the Blackwater Elite and logged its first win in the 2017-18 PBA Philippine Cup. Without the presence of Ranidel de Ocampo and Cliff Hodge due to injuries coach Norman Black looked for another offensive weapon and that is his recent recruit. New Meralco Bolts addition KG Canaleta wasted no time to introduce himself to his teammates as well as to the Bolts faithful and dropped 25 points plus an eight rebounds. Most of his damage came from the second half where Meralco made a surging 19-0 run and led as much as 19 points. “Welcome na welcome nila ako very supportive sila kaya hindi ako nahirapan mag adjust,” said Canaleta to his new teammates. “He’s going to be a very good addition for our team,” said Black who also got 32 points from the combined effort of Jared Dillinger and Amer Baser. However, the Elite won’t give the game that is easy for the Bolts as they also orchestrated their own run and puts the game 95-98 with 33 second remaining in the ball-game. With time not on Blackwater side, they eventually lost the match 98-103. Third overall pick of this year’s PBA draft Raymar Jose registered 16 points and 6 rebounds in his first game in the league. JP Erram added 11 points and 10 rebounds while Allein Maliksi chipped in 16 points.